The University of Canberra is the official testing centre for the International English Language Testing System (IELTS) test in Canberra. The tests are conducted two times per month and are held on the University of Canberra campus. IELTS Results will be sent to you via SMS. Results will be sent on the 13th day after the Saturday test date. If you would like your results sent to you via SMS, please fill in the declaration form online when you apply. 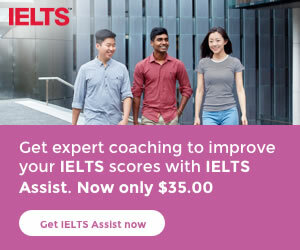 The International English Language Testing System (IELTS) is jointly owned by the British Council, IDP: IELTS Australia and Cambridge Assessment English. It is a test of English language proficiency which assesses your level of skill in listening, reading, writing and speaking. For more information, please visit the IELTS website. There are two modules of the IELTS test: Academic or General Training, depending on whether you want to study, work or migrate. Please talk to the organisations receiving your results about which module of the test you need to take. Both modules are made up of four parts: Writing, Reading, Listening and Speaking. The Writing, Reading and Listening sections of the test are held in the morning from 9.00 am to approximately 12:30 pm, with no breaks. The Speaking test (an interview lasting 11-14 minutes) is held on the Friday before the main test or in the afternoon after the main test on Saturday. You can select your Speaking test appointment time when you book your test online. We will send out an email a few days before the main test with your assigned Speaking test time and other instructions. To prepare for your IELTS test, you can download the free IELTS Support Tools. There is also information about computer-delivered testing which is coming soon to our centre. UK Visas and Immigration (UKVI) have a range of specific requirements for candidates wishing to use English language tests for UK visa applications. You must take a UKVI test at a designated UKVI IELTS test centre. For more information, please visit www.IELTSessentials.com/UK. Visit the My IELTS Essentials application page to create a profile, apply for a test date and pay for your test. Please note: Have a copy of your passport and your credit or debit card ready because you must complete your application and pay for your test within 30 minutes. Your names must be entered exactly the same as the names on your passport. The names you enter must appear in the same order and be completed—including your middle name. Please ensure your mailing address is valid because your test results will be printed and posted to you. If you would like to receive your provisional results via SMS, there is an option to request that in your application. Remember your user name and password because you will need it to log back into the My IELTS Essentials website! You must have a copy of your passport (showing the photo page with your personal information, signature and the expiry date) ready before you start your application. Please also have your credit card or debit card ready for payment. Your My.IELTSEssentials.com profile must have your passport copy on it at all times. If you delete your passport from your profile, your application maybe cancelled. If you get a new passport that is different from the one you applied with, you need to upload it to your profile and also email us at ielts@canberra.edu.au to let us know. The ONLY ID document we accept is a passport. Please do NOT choose 'National Identity Card' when applying. Please note we do not need your visa page. If your passport copy is unsatisfactory, your test place may be cancelled EVEN IF you have already paid. Payment for a test place does not guarantee a test place because we must have an acceptable copy of your passport attached to your profile. Before sitting the test, you must read the IELTS Information for Candidates. Candidates who require special arrangements due to ill health/medical conditions must contact us when applying online. 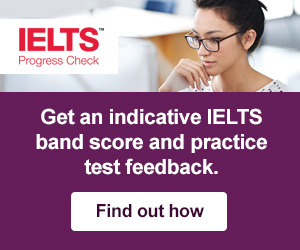 To check if a test date is available, please visit the My IELTS Essentials application page. To see more testimonials from real people please visit the IELTS Testimonials page.